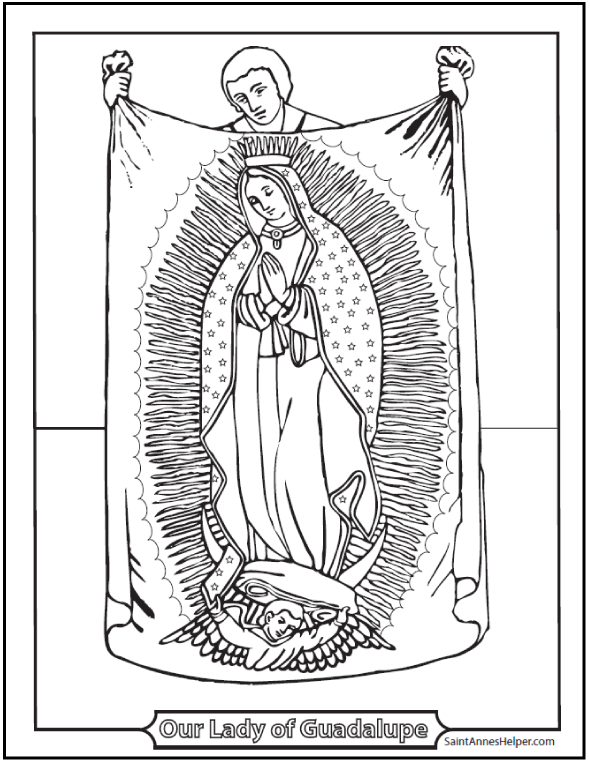 Two Printable Rosary Diagrams And Worksheets Below. This printable Rosary Diagram makes learning the prayers easier. Kids like coloring the picture and matching the numbers. After the Roman Catholic liturgy, the Catholic Rosary is the most powerful and beloved Catholic prayer so it is good to teach it early and pray it often. Learning to pray it well is a sure way of gaining Heaven. Praying the Holy Rosary is easier when you know the prayers by heart and how to follow the Mysteries around the chain or string of rosary beads. 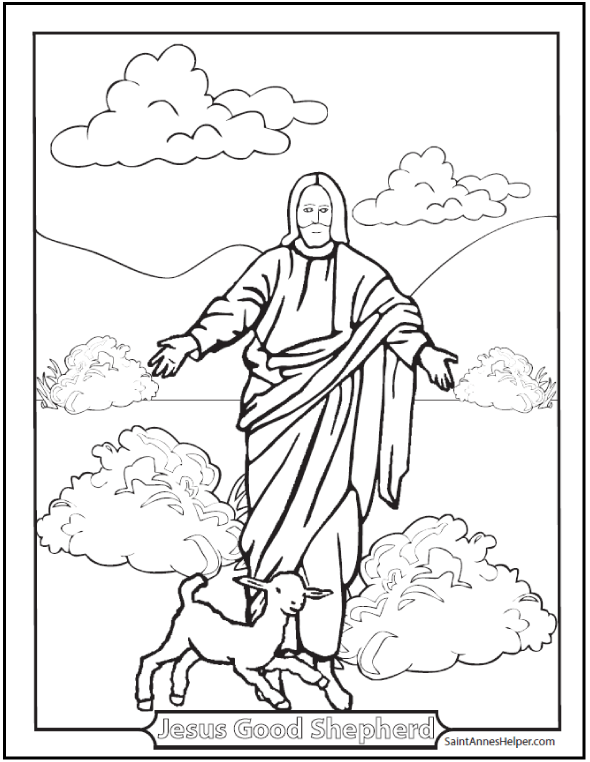 We have a chart below that you can use to color the Crucifix, Our Father, and Hail Mary beads. Saying the Rosary is very easy with our Catholic Rosary videos. Teach the little ones, keep your mind on the mysteries, and never lose your place again. After the Mass, it's the reason for our family's happiness. These videos have an image for each of the 15 Mysteries and the prayers that should be said. Follow the moving bead on the virtual rosary images in order to know which bead goes with each prayer. See the list of videos at the bottom of this page. 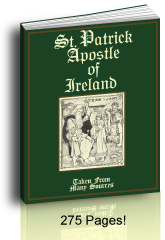 The first prayer is the Apostles' Creed which is a brief description of the Catholic Faith. If someone were to ask, "What do Catholics believe?" one could answer with the very words to the Apostles' Creed. 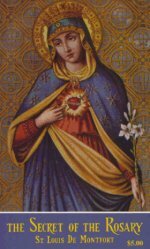 Next comes one Our Father Prayer with three Hail Marys followed by a Glory Be for intention of gaining an increase of the supernatural virtues of Faith, Hope, and Charity. After this say five decades. What is a decade? One Our Father, ten Hail Marys, and one Glory Be are a decade. At the end of this recite the Hail Holy Queen. In 21 minutes you can say this most powerful prayer, the one known to defeat armies at the Battle of Lepanto and remove Communism from such places as Austria. Learn more about praying it here. 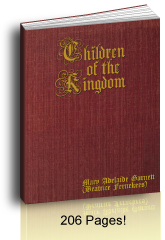 Secret of the Rosary book. 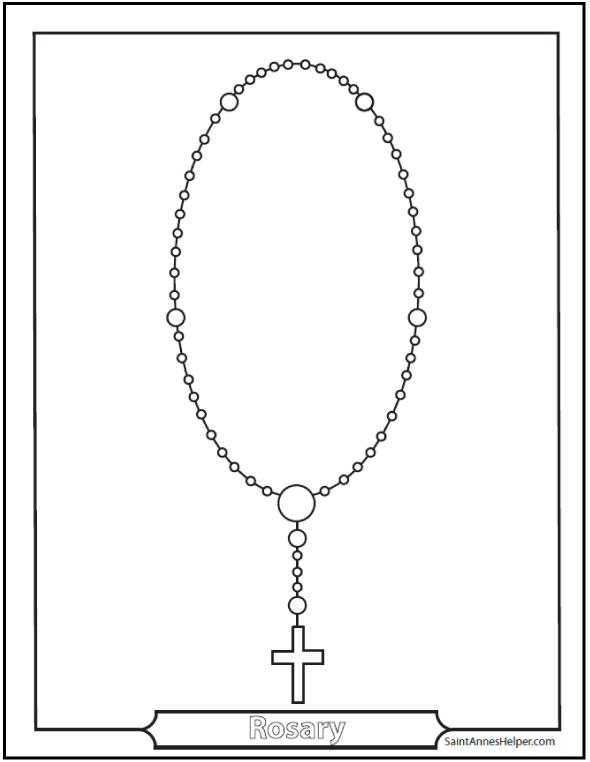 Our printable Rosary diagram can be colored which some children love doing. 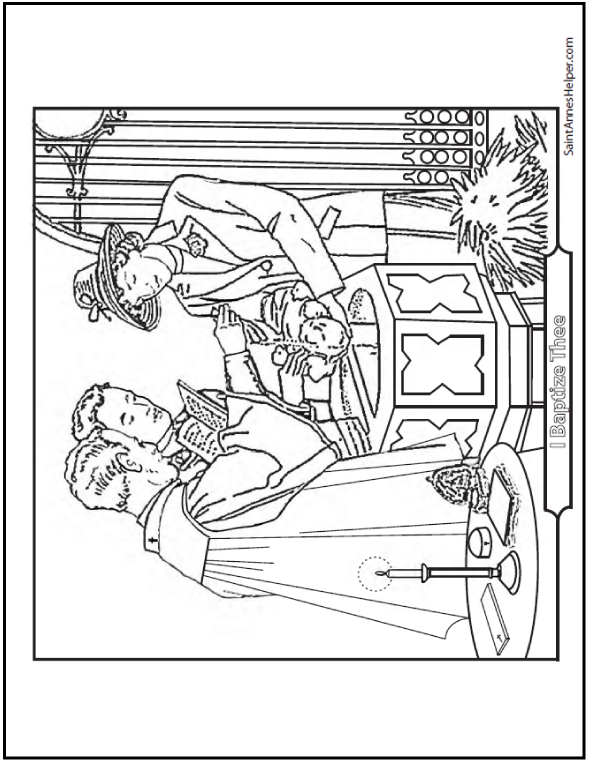 Our coloring sheets make learning the Rosary fun, especially for those visual learners for whom "a picture is worth a thousand words". 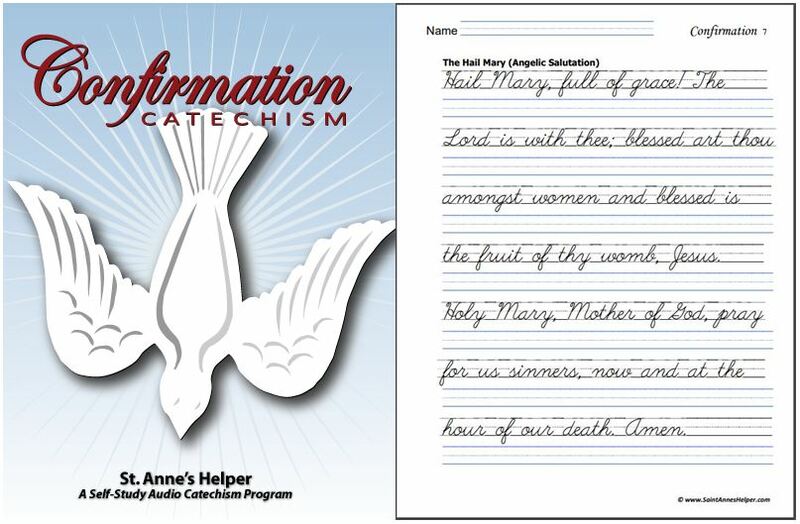 Learning the prayers and the titles to the mysteries are easy with St. Anne's Helper First Communion Audio Catechism (CDs or Downloads) and Catechism Copybooks. 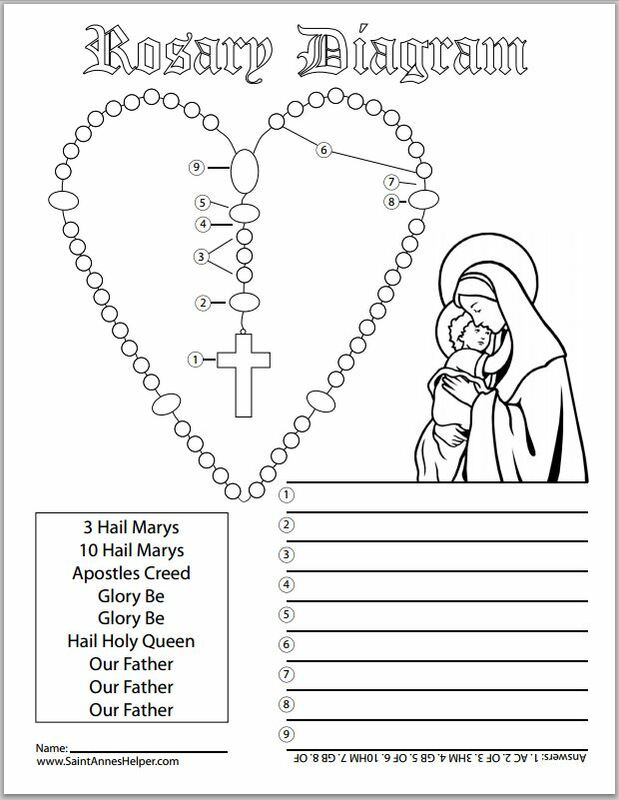 Also, saying the Rosary is easier at first with a printable Rosary diagram to show which beads indicate whether to say the Apostles' Creed, the Our Father prayer, the Hail Mary, or the Glory Be. Once you've learned to pray it, you've learned the four most frequently used Catholic prayers. 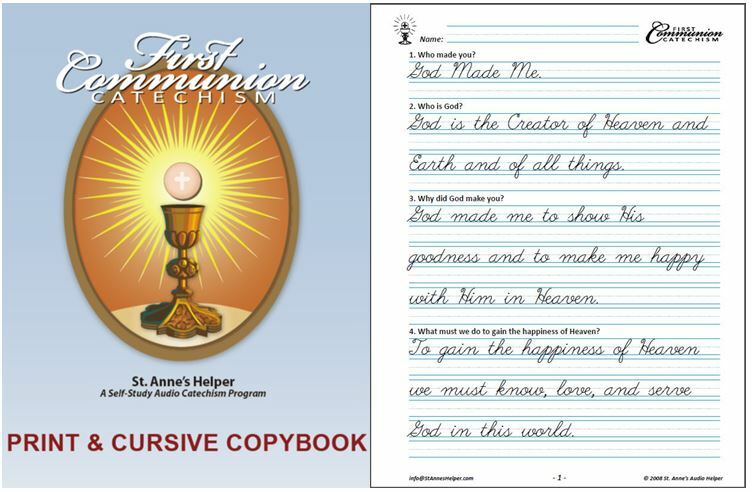 These are the same four that are usually asterisked to be learned for receiving First Holy Communion and Confirmation. Apostles' Creed - first prayer. Hail Mary - ten for each decade. Glory Be - at the end of each decade. Hail Holy Queen - said at the end. Act of Contrition - prayed during the sacrament of Penance, and nightly after Rosary. Of all the Catholic prayers, praying the Holy Rosary comes second only to the Mass. Thank you for visiting! 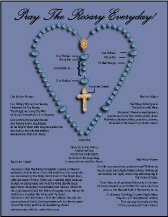 We hope you enjoy our free Rosary diagram. Be encouraged to share with family and friends and include us in your daily Rosary. We do the same for all our visitors.